(Abu Dhabi) – Abu Dhabi hosted the first meeting of the “UAE-Russian Industrial, Technological and Scientific Cooperation Team,” which was headed by Dr. Matar Hamed Al Neyadi, Under-Secretary of the Ministry of Energy and Industry, and George Kalamanov, Russian Deputy Minister of Industry and Trade, with the attendance of Alexander Efimov, Ambassador of Russia to the UAE. 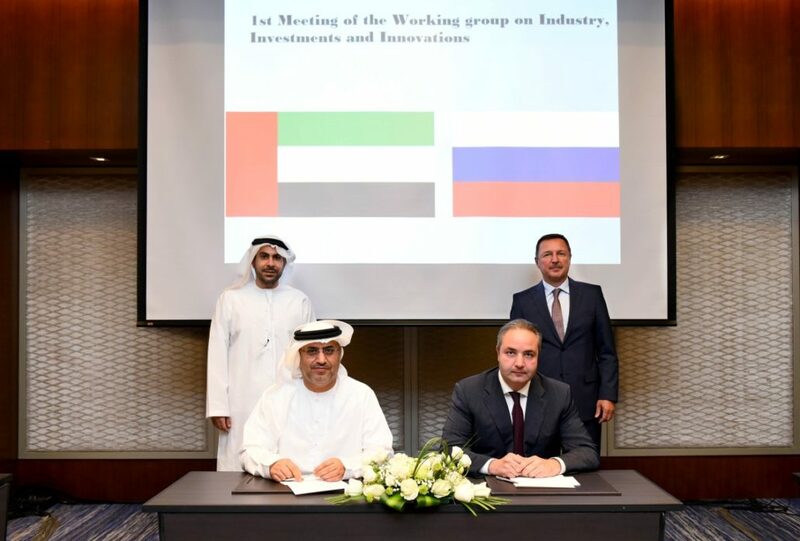 Both sides welcomed the launch of the activities of the team, which is the realisation of an agreement signed by the UAE and Russian governments on 17th December, 2017, to promote scientific, technological and industrial cooperation between Emirati and Russian organisations and companies. Dr. Al Neyadi highlighted the advancing bilateral relations between the UAE and Russia while pointing out that the meeting took place a few days after His Highness Sheikh Mohamed bin Zayed Al Nahyan, Crown Prince of Abu Dhabi and Deputy Supreme Commander of the UAE Armed Forces, and Vladimir Putin, President of Russia, announced the strategic partnership between both countries, which aims to strengthen the overall cooperation between the two countries. He added that that the meeting will help affirm the strategic direction of the leadership of both countries, through facilitating the work of Emirati and Russian companies, developing joint industrial projects, benefiting from their industrial potential, and entering new markets. 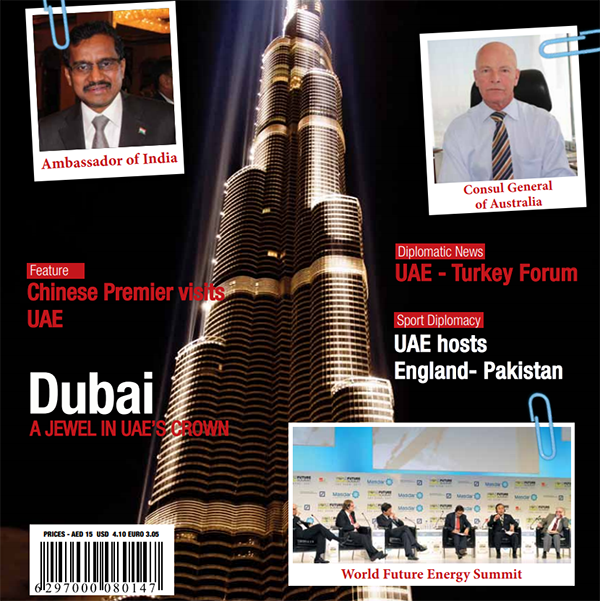 Al Neyadi stressed that Russia’s hosting of the second “Global Manufacturing and Industrialisation Summit,” which is the first global industrial forum launched by the UAE, in cooperation with the United Nations Industrial Development Organization, UNIDO, highlights their close economic cooperation. Kalamanov said that the UAE is one of Russia’s key political and economic partners, which is proven by the announcement of their strategic partnership while adding that converting their strategic aims to joint projects in the real world will benefit their people. The meeting addressed opportunities for joint cooperation between both countries in various sectors, and was attended by representatives of the Ministry of Energy and Industry, the Ministry of Foreign Affairs and International Cooperation, the Telecommunications Regulatory Authority, the UAE Space Agency, the Department of Economic Development-Abu Dhabi and Khalifa University, as well as leading Emirati companies, such as Masdar, Etihad Rail, Senaat and NPCC, Mubadala Investment, Thuraya, Al Yah Sat, Tawazun Holding, STRATA Manufacturing, Amana Group and DuBox.